Add flavor to your business materials with Minty Fresh Design. We offer graphic design and web design services to fit your needs and budget. Contact us for a free initial consultation to discuss your upcoming projects. 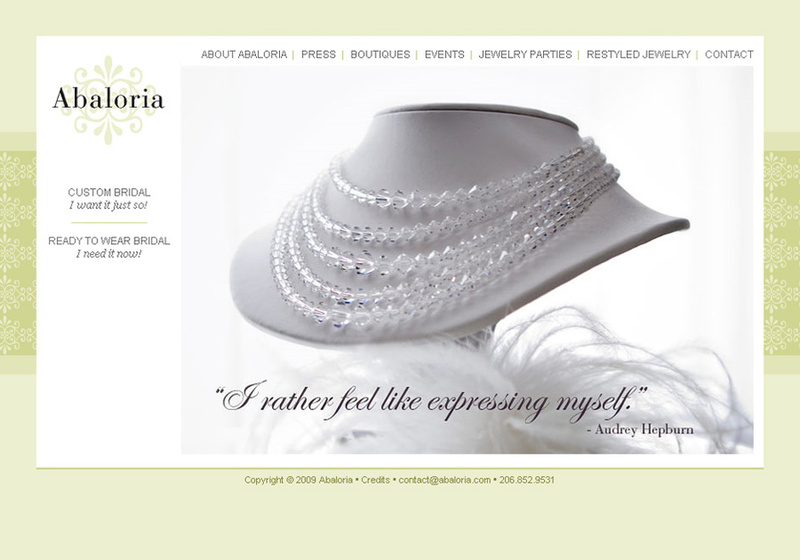 E-commerce website design for a custom bridal jewelry designer.